9047 Heavenly Drive is currently available as an exclusive listing! 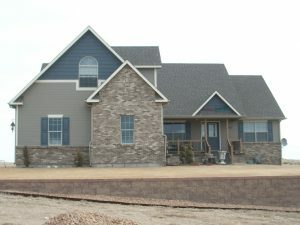 Welcome home to this four bedroom, four bathroom, 4,418 sq ft, three car garage, beautiful big house on the prairie! If you are looking to buy a rural property, then you’ve got to see this one for yourself! It sits on 5.86 acres in Heritage Hills, which is in East Cheyenne off Whitney Road. To top it all off you’ll want the outbuilding/barn that measures 40×64 feet. the sunsets and dramatic views. Offered by John and Tammy Facemire, Cheyenne WY Realtors for the listing price of $599,900. Similar listings include 7801 Sorrento Lane, 7536 Telluride Drive and 6740 Crested Butte. Connect with John and Tammy today by visiting them online or calling 307-631-1121 or 307-631-8621 to set an appointment to discuss your real estate needs and dreams!